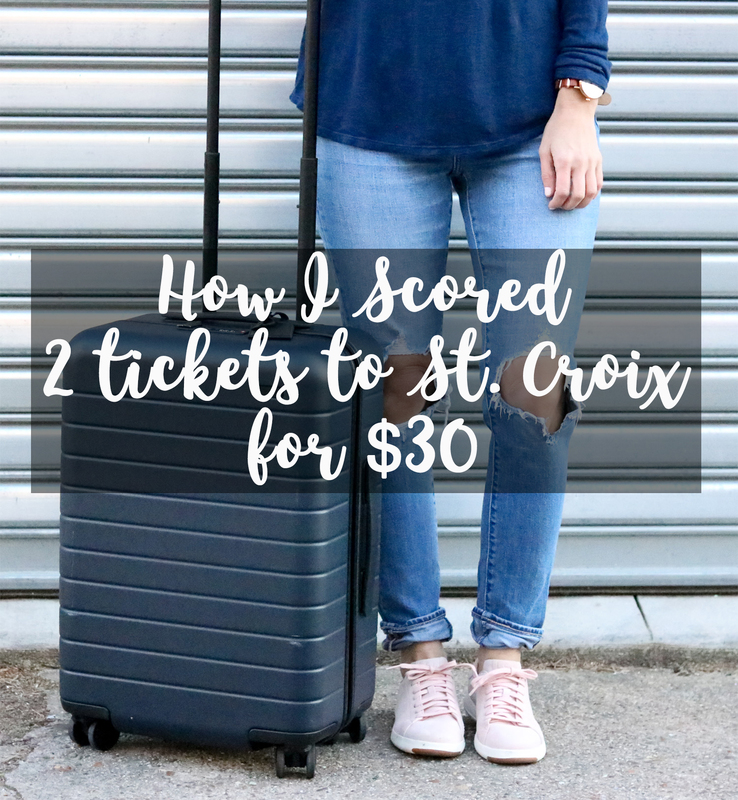 How I Scored Cheap Tickets to St. Croix - Two Roundtrip for $30! If you read last week’s Travel Tuesday post, you may have seen where I’m heading to St. Croix at the end of the year. Michael and I’s friends are getting married on the island in December so we’re making a little vacation out of it. We decided to go ahead and book our flights late last week, and we ended up scoring two plane tickets for $30, all together! Let’s jump in and I’ll show you how I did it and how you can do it too! First, I had to determine how many points/miles I needed to book two award flights. After looking at American’s award availability (you can do this online through American Airline’s website if you are booking domestic travel – St. Croix is considered domestic because it’s a U.S. Virgin Island – If you’re booking international award travel through American, you have to call), I determined that I needed 27,500 each way for each of us. So 55,000 per roundtrip ticket, 110,000 total miles. I stockpiled a good number of American Airlines miles by first getting the Citi AAdvantage Platinum Select credit card a while back. I believe the signup bonus at the time was around 30,000 miles after spending $1,000 in the first 3 months. Like with any other sign up bonus, I put every single spend over the next few months on that card. I received the 30,000 miles plus miles earned for all of my normal credit card spending. I also had, at one point (I have since closed the account), the Aviator AAdvantage card, which netted me 40,000 bonus miles after making ONE purchase with the card within the first 90 days of opening the card and paying the $95 annual fee. So that was my nest egg that I was sitting on late last week. Next, I had to figure out how to make up the difference. I’m a huge fan of SPG (Starwood Preferred Guest) points (you can read more on why, here). I have the American Express SPG card, and it always comes in clutch! 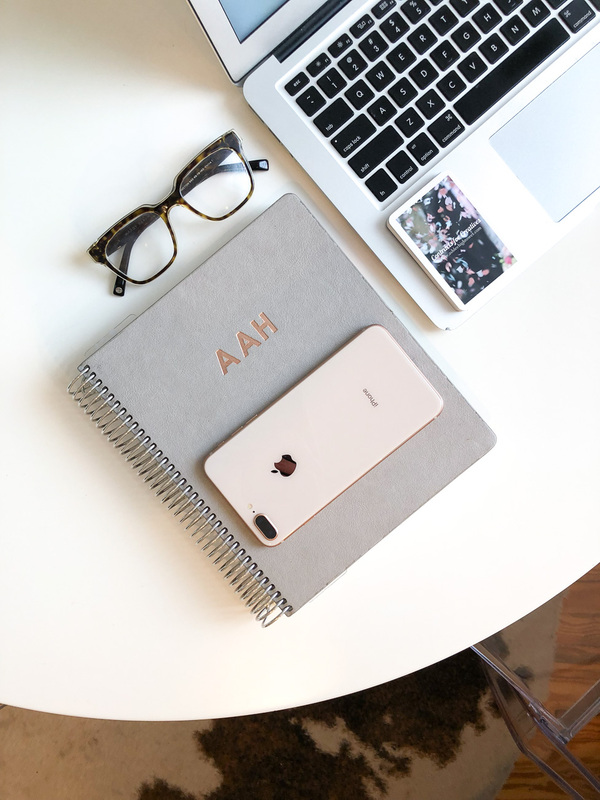 (You can read more about the AmEx SPG card and compare it to other travel cards here!). SPG points are always among the highest valued points not only because you’re able to book some pretty amazing Starwood (and now Marriott too since the merger) properties for a pretty low amount of points but also because SPG points transfer to a number of different airlines. Can you guess what one of those airlines is? Yep, American! Another reason to love the transfer option of SPG points is that SPG offers a transfer bonus! For every 20,000 SPG points you transfer to certain airline partners, you receive an extra 5,000 points, but of note, you only receive the bonus points when transferring up to 79,999 points. So a few things to keep in mind. If you can, always transfer SPG points in 20,000 increments. And NEVER transfer more than 60,000 SPG points at one time. If you go over the 60,000 transfer threshold, you’ll be maxed out by the 79,999 cap and will only receive the bonus on the first 60,000 transferred. Here’s an example to show you how the bonus works – Say you need 50,000 miles for a beach vacation, you’ll need to transfer 40,000 SPG points and you would receive 10,000 bonus points for free, which gives you the 50,000 points you need! Make sense? So that’s what I did! I transferred the remainder of the points that I needed from my SPG account to my American account, and viola, I had the 110,000 miles that I needed to book two roundtrip tickets to St. Croix! Just to give you an idea of how much money we saved, the roundtrip flights to St. Croix were around $560 each. So we would have spent almost $1200 on these flights if we would have paid for them outright. Now you may be wondering where the $30 came from … On award flights you still have to pay the taxes. Since this flight is considered a domestic flight, the taxes were only $15 for each flight. If you’re booking international award travel, the taxes will be higher. For example, I also just booked an award flight to Punta Cana and the taxes on that flight were $110. So $30 total for 2 roundtrip flights to St. Croix! Not too shabby! I can’t wait to be sitting on the beach, soaking up the sun, and enjoying a piña colada in December! Disclaimer: If you click and/or sign up for a credit card through certain links on this site or any of my related social media platforms, I may make a commission from that click and/or purchase. As always, all opinions are my own. YESSS! So good. I need to look at the Aviator card–didn’t realize the bonus was so good with any purchase made in the first 90 days! I got it when I needed AA miles, it was definitely worth it! I got rid of it when I did a big clear out, but it definitely served its purpose! HAHA hmmmm Maybe another little side job?! Ummm this is amazing. I feel like I am so nervous to jump into this credit card game and loose track of them though… how do you do it?! Just start out small! I’d recommend starting with an easy one like the Chase Sapphire/Chase Sapphire Reserve. Once you dip your toes in and get a handle on it, you’ll be able to keep adding new ones on! Come travel hack my life! This was such an informative post — y’all are going to have so much fun! hahaha I wish I could apply this hacking to all of my life activities! That would be AMAZE! Thanks Leigha! It’s always such a fun feeling to score a deal like this so I love to share how we did it with hopes that it will help others do the same! You are such a savvy traveler!! That trip will be so fun, and what a gorgeous wedding too! Thanks Molly! I’m excited to visit the caribbean in December – I’ve never been during the winter (our winter), and I’m sure the wedding is going to be so beautiful! Love this, you math genius! I need to be better about keeping track of my travel points! 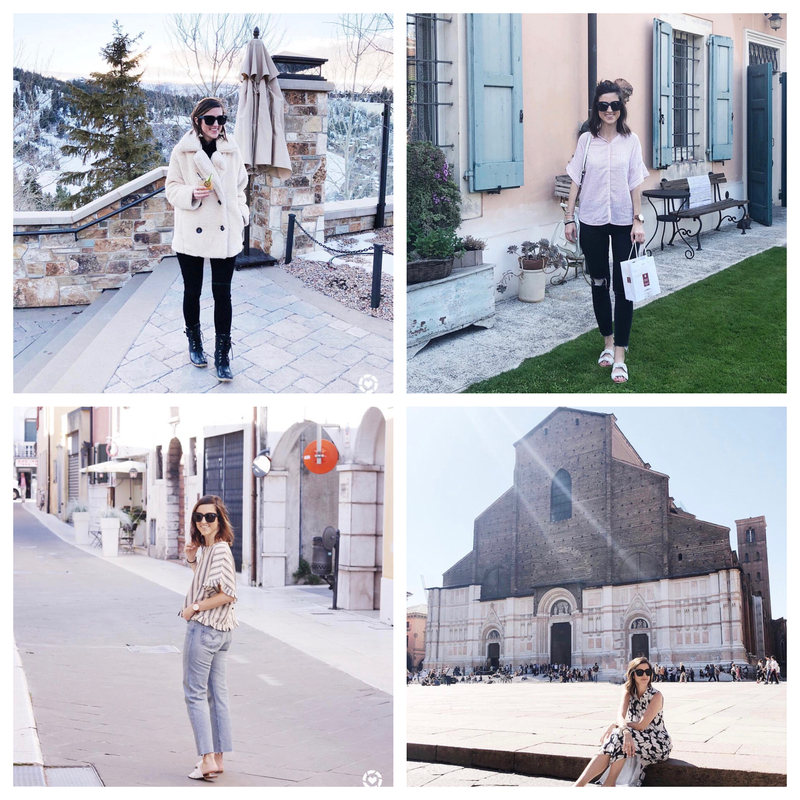 You are true #travelinspo!